Click on the part of the screen you have questions about! Customer Rating and Grouping is used to separate different "types" of customers. 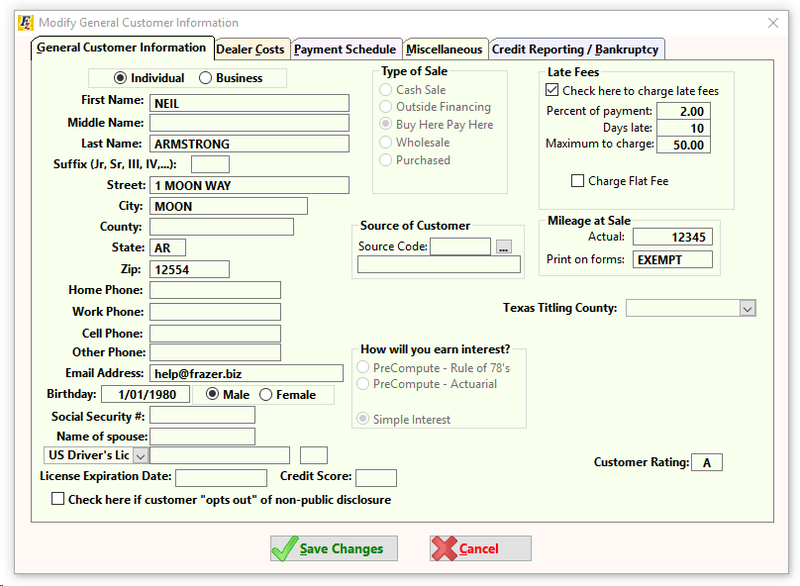 To allow "Grouping" and "Sub:Grouping" you must check the "Print Reports by Customer Grouping" box in system options. Top of Page. The Late Fees area is where you may correct the late fee for a specific account. The default late fee comes from the system option at the time the sale was completed. Top of Page. The Source of Customer area allows your dealership to track how people are referred to you. Top of Page.